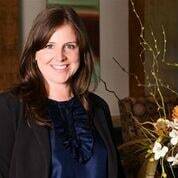 Penny Whitaker | Nashville Injury Lawyers The Law Offices of John Day, P.C. Hobbies: Baking, traveling with my family, reading (especially Jodi Picoult and Paul Auster novels), discovering new music and movies, cheering on my sons in baseball and other sports, catching up on my favorite TV shows including Mad Men, The Walking Dead and Project Runway. Best Part of My Job: Talking to and meeting new people every day. Three of My Favorite Things:(1) The beach; (2) Disney World; (3) Indian food.